There are three things distracting Ruth and Charlotte Dupree from enjoying the usual pleasures of Washington D.C. social circles. A stray cat with a spot of blood on its fur. A set of love letters from an unknown author. A dead body. 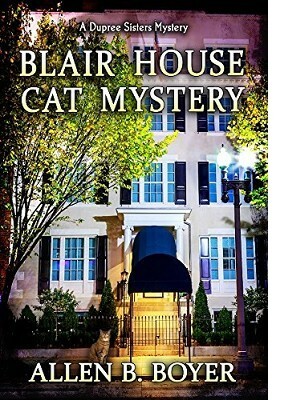 Join the Dupree Sisters as they employ their usual charm and good manners to uncover the truth behind The Blair House Cat Murder, the second installment in the Dupree Sisters Mystery Series.